So 2K uploaded a new trailer, called the launch trailer celebrating their release of the game! How is everyone enjoying the game so far? Lebron James on the cover of NBA 2K13? Further to our poll Who will be on the cover of NBA 2K13?, LeBron James takes the first place (924 votes) followed by Derrick Rose (880 votes). 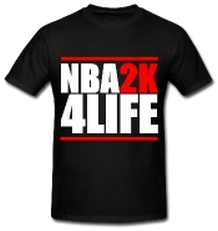 Who will be on the cover of NBA 2K13?